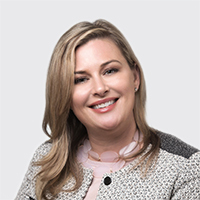 Anastasia Wright began her career in workers’ compensation law on February 9, 2004, having had some experience with civil law including discovery motions, depositions, and pleadings. Two months after beginning her practice, SB899 was enacted. This ended up being perfect timing to start in workers’ compensation as it gave her a unique perspective having worked both in the “old” system, but also, being fully indoctrinated in the “new” and now “new-er” systems. Anastasia was trained in a small firm atmosphere and had the advantage of being a ghost writer for a busy and demanding partner, all while my children were very young. When the former firm closed, she was hired immediately as an associate attorney for Mullen & Filippi, undertaking a full and complicated caseload. After working very hard in this capacity for 5 years, Anastasia was made an Associate Partner in July, 2013, and on October 17, 2014, she undertook the role of Managing Partner for the San Jose office of Mullen & Filippi. Anastasia attended the University of California, Santa Barbara, where she majored in English Literature, receiving credit for doing what she loves to do most, read. Anastasia was a member and Vice President of a sorority, and worked at the Book Store while attending college. After her graduation in 1995, she worked in odd jobs until she decided to return to school in 1996 at Golden Gate University in downtown San Francisco. She earned honors in her final 3 semesters. One summer during law school, Anastasia had the opportunity to work as an intern for the U.S. Bankruptcy Court, Central Division (Santa Barbara). This was a fabulous experience and taught her many things about practicing law and handling cases. Anastasia has been a member of the California State Bar since December, 1999 and is a member of the local chapter of ICA, as well as the Monterey Bay Workers' Compensation Attorneys Association. I enjoy working in the workers' compensation arena immensely. I find something different every day, and the ever-changing law and political tensions that surround our industry challenging and stimulating. I also take great pleasure in my professional relationships. I work daily towards building a trusting and collegial relationship with my clients. I believe that the attorney client relationship is more than a business relationship, as we need to understand and support each other. I always have my phone on, and can be reached at any time of the day. I also strive to have a cooperative, responsive, and attentive relationship with my colleagues, opposing counsel, Judges, and other professionals that I encounter. I live in a home surrounded by a producing 7 acre organic walnut farm. We call it Green Acres, with me being the city girl, and my husband, Cameron, being the country boy completely at home on a tractor or harvesting walnuts. This is our happy place. Along with our 2 children, we love the rural lifestyle, and have become animal collectors, of sorts. We have 3 dogs, 2 cats, 8 chickens, 4 bunnies, and a horse. I am hoping to add a milk cow to this menagerie soon. Weekends for us consist of tractoring, playing or watching baseball (go Giants! ), horseback rides and lots of entertaining. And, I still read voraciously and use my commute to listen to as many Audiobooks as I can get my hands on. I pride myself on my book recommendations! Email me if you need one!